Toyota has released a new teaser image of the Toyota Corolla sedan ahead of its global unveiling on November 16 at the Guangzhou International Automobile Exhibition in China. 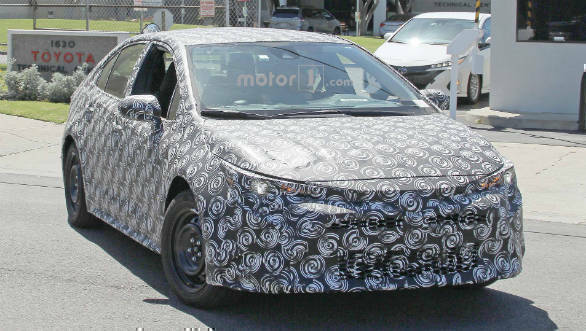 This is essentially the same car that will make its way to India as the next Toyota Corolla Altis, hopefully by sometime next year. As we mentioned earlier, the image confirms that the sedan will carry forward styling largely derived from the hatch. 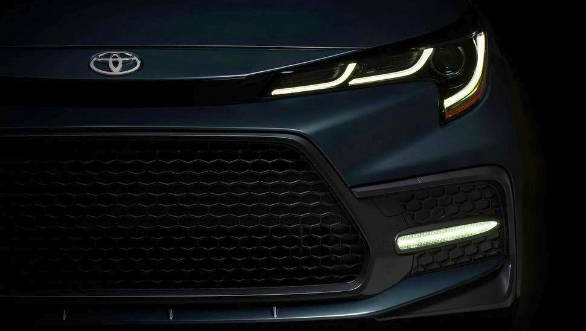 The only major change, specifically to the front, are the new larger grille and an added set of LED DRLs in the lower half of the new front bumper. 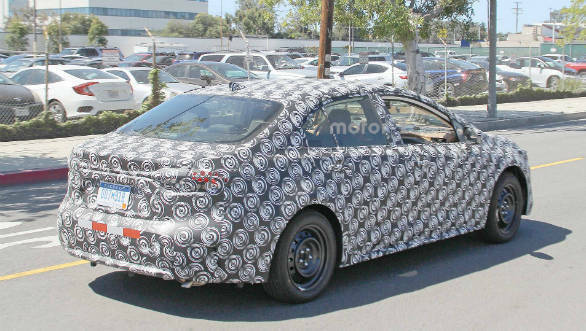 The rear is also expected to be aggressively styled and feature sharp LED taillamps. There should be more space on the inside, despite a swoopier profile. The major additions to the interior will be an all-digital instrument cluster and a new eight-inch floating touchscreen on the centre console. The infotainment now has Android Auto/Apple Car Play as well as Amazon Alexa integration. The American market hatchback is available with Toyota's latest active safety tech suite that comes with automatic high-beam, a pedestrian-detecting pre-collision system, lane departure warning and lane keep assist. The suspension has also been given a sportier tune as compared to the earlier car. The car will be powered by a new 2.0-litre petrol motor in the US market that makes 168PS and 205Nm. The engine is lighter, and more efficient than the present 1.8 petrol which is also found in the Indian-spec car, with increases of 28PS and 27Nm. This engine will be paired with a new six-speed manual with auto rev-matching or a new CVT automatic which features a fixed clutch-engaged first gear that improves off-the-line performance and feel. The Corolla Altis has been the most popular D-segment sedan in the country for a while now. This update will help it maintain this momentum, especially with the impending launch of the Honda Civic sedan.